Heads up Bristol - to mark this year's Cider Celebration (Mon 15 April - Sun 2 June) join us in the Café & Bar for a free tasting event to toast what the West Country does best. 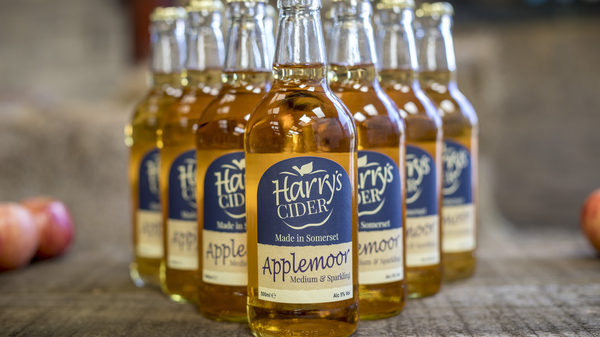 Come and help us say cheers to Spring on Thu 18 April from 18:00 - 20:00 when local Somerset brewers Harry's Cider will be visiting us for a totally free cider tasting event in the Café & Bar. Come and try samples of their delicious Haymaker, Scrummage, Flash Harry's and Dirty Harry's ciders and then enjoy 20% off a full or half pint draught ciders and bottled ciders from the bar afterwards too! Some of the skilled Harry's Cider brewers will be here as well to chat all things cider so why not make an evening of it. If you can’t make it, fear not - we’ll have plenty of cider to go around until June. In fact, throughout April and May we'll have quite the range from the local regions, so get your apples on and come and enjoy a pint with us. Cheers!